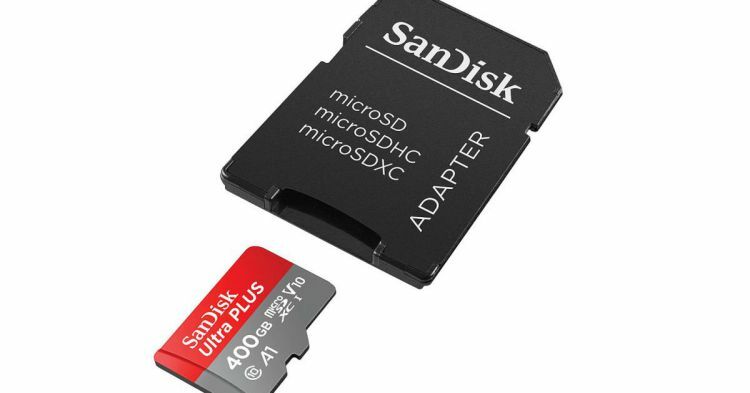 SanDisk just unveiled a 400GB microSD card. According to the company, it is the world’s biggest microSD card. The new 400GB SanDisk Ultra microSDXC UHS-I card can rack up transfer speeds of 100MB, meaning you can expect to move up to 1,200 photos per minute. In addition, It also meets the A1 App Performance Class specification, allowing it to load apps faster. Also, it can hold up to 40 hours of full HD video. The microSD card will cost you $250. A new 512GB microSD card is also expected to hit the market this year (courtesy of Microdia). Plus, that half-a-terabyte of storage was going to set you back $1,000. The company’s also launching a new local storage dock for Apple’s handset. Just plug your iPhone into the SanDisk iXpand Base to backup your files, with up to 256GB of storage (for $200). Additional versions include 32GB, 64GB, and 128GB storage, with prices starting from $50.